IQBoxy was born out of a desire to better understand our money and prevent it from dominating our lives. It has grown into something much more exciting. Dmitry and I are immigrants. Both born in Eastern Europe, we grew up in poverty during communist regimes in two different countries. Staying on top of our finances was more than essential — it was the only way to survive. That ethos was chiseled into us from an early age. Fortunately, both of us were able to leave those turbulent times behind and migrate west. We met in the U.S. in 2009 at Coupons Inc, where we helped households save money by essentially printing money (coupons). Working in Silicon Valley exposed us to a pool of new knowledge that helped us better understand what we wanted from our money. So much was changing around us; people were creating new ways of doing old things. But the basics of money management remained constant, whether it was business capital or personal wealth. The advice was the same: Pay yourself first, then stay on top of your finances by keeping a ledger. When Dmitry and I started IQBoxy in Silicon Valley, we started automating the expense management side of bookkeeping. I still remember sitting at Philz in Palo Alto sipping coffee with Dmitry and brainstorming what to call our new venture. We had this idea of a shoebox that you collect your receipts in for tax time. But our box was not just any box; it was an intelligent box. It was IQBoxy. 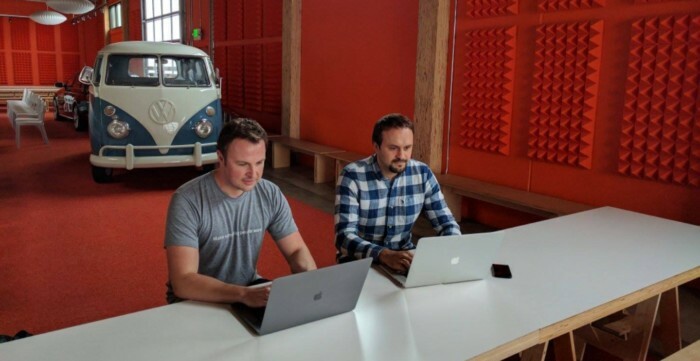 Ernest and Dmitry at YCombinator in 2017. Veryfi is part of the YC W17 cohort. Whether we understand it or not, we all put a premium on our time. We waste time, we make time, we take time. We prioritize our minutes and hours for family, friends, and experiences. Yet we are becoming more and more time poor. Running a business as a self-employed individual or with a team has its perks but also comes with burdens. Accounting, for one. Specifically the bookkeeping part, so we meet our tax obligations and to stay in control of our finances. Then there’s the recording of business deductions (purchases) to maximize our income. We must categorize and reconcile our financial transactions so that our accountant can communicate them to the government. These burdens rob us of time we should be using on our business or spending with our family and friends. Automation is changing society every day, yet at most companies the concept is smoke and mirrors. Companies might talk about machine learning and automation when they are really using human labor like the famous mechanical turks (see Expensify). Not only does this approach completely fly in the face of automation, it risks everyone’s privacy. What if we could instead employ machines that have no interest in social engineering or your financial history? Now that’s something worth celebrating. With this in mind, we locked ourselves in a room and brainstormed. 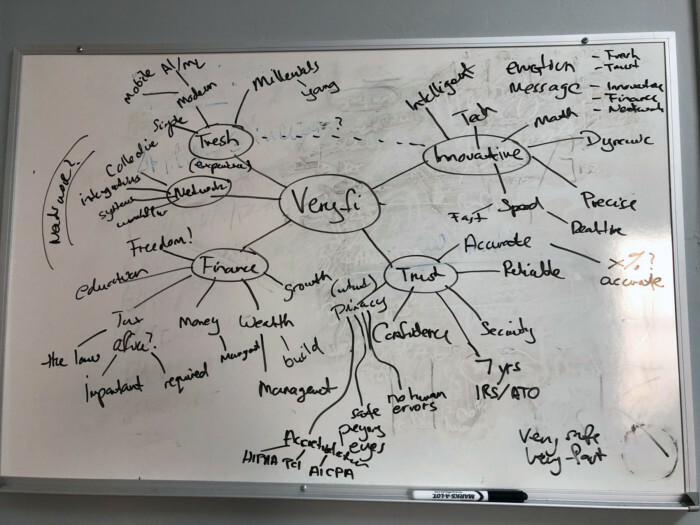 We used a mind-mapping process to flesh out what the new name should convey — everything from financial focus to innovation to speed to trust. 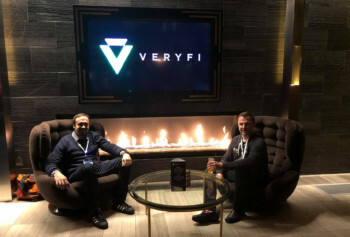 Trust and privacy are at the core of Veryfi. Veryfi is a secure service you can trust to automate your tax obligations, from collection of receipts and invoices to categorization and reconciliation of your financial documents to bank statements. Veryfi allows your CPA to seamlessly access this data anywhere and anytime, all while maintaining the highest security standards. This includes HIPAA compliance for healthcare companies and EU Data Protection in Europe that takes effect in 2018. Privacy is, and always should be, at the top of every company’s agenda. No compromises. As we grew and users turned into customers, we started to realize we needed to move beyond expense management. Bookkeeping is more than expense management. So we integrated with our friends at Rippling to bring payroll and employee onboarding into the ecosystem. Then we brought further integrations with cloud accounting providers providers like our friends at Sage. All the while we carried around a small burden. Are we just an expense management company? Nope. Are we a cloud document storage company? Definitely not. Then what are we? The image we sent to the marketplace through the IQBoxy name was more confusing than helpful. We realized we needed a name that would send the right message about our vision and product. It would do justice to our core mission and our humble beginnings of providing innovative and fresh financial solutions for the self-employed and small-business owners that they could trust. Veryfi is about empowering the future workforce with modern AI-first mobile software. This software is delightful to use anywhere in the world, with or without an internet connection. No barriers, geographic or financial. Everyone should have a bookkeeper in their pocket that does much more than manage their expenses.